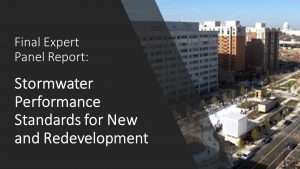 All of the Bay states have recently shifted to new performance standards for the management of urban stormwater runoff that require greater levels of stormwater treatment using Low Impact Development (LID) and site design practices. 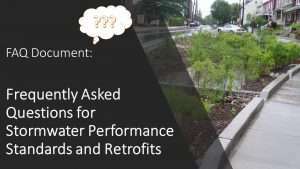 While similar to stormwater retrofits, these practices are installed on new development sites to hold pollution levels at pre-development conditions. Alternatively, they can be used at a redevelopment site to reduce pollutant loads below pre-development levels. 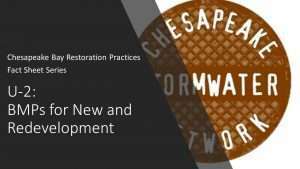 Below, you’ll find a variety of resources on stormwater performance standards, including the Expert Panel report that reviews all of the available science on the pollutant removal performance and runoff reduction capability of the BMPs, and CSN’s Performance Standards “Fact Sheet” which breaks down the practice and the Expert Panel recommendations into more easily digestible pieces!